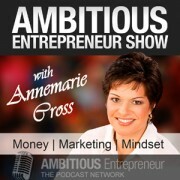 Had the absolute pleasure to do the first Facebook Live for the Ambitious Entrepreneur Show, with Annemarie Cross, discussing all things What Is Your Business Worth? A most interesting experience which all went rather smoothly thanks for the impressive skills of Annemarie on the control panel. It was a good solid conversation about what Business Owners should be doing in their business that will actually be of value come exit and/or sale time. Many Business Owners are guilty of doing the activities they like to do and are even good at, as opposed to the ones that add the most value and need to be done. My view is why be in business if you’re not planning to build it into an Asset?